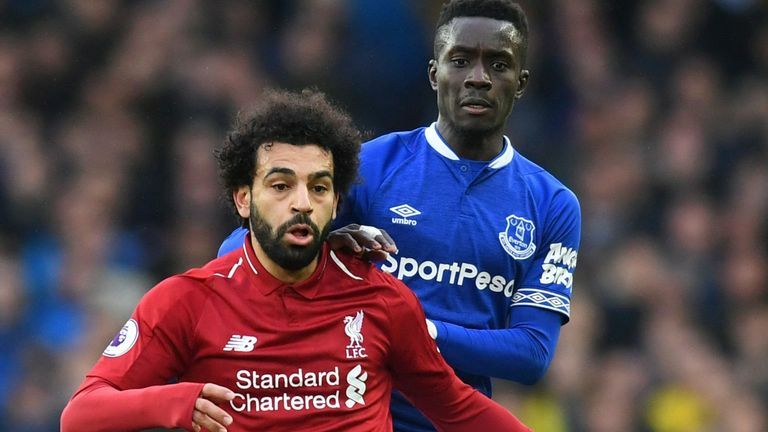 Jurgen Klopp reacted angrily to a suggestion that Liverpool have not taken enough risks in recent weeks, following their goalless draw with Everton. Jurgen Klopp reacted angrily to suggestions Liverpool did not take enough risks to beat Everton, insisting "we don't play PlayStation". The Reds dropped off the top of the table for the first time since December with a goalless draw at their Merseyside rivals - their fourth draw in the last six Premier League games. 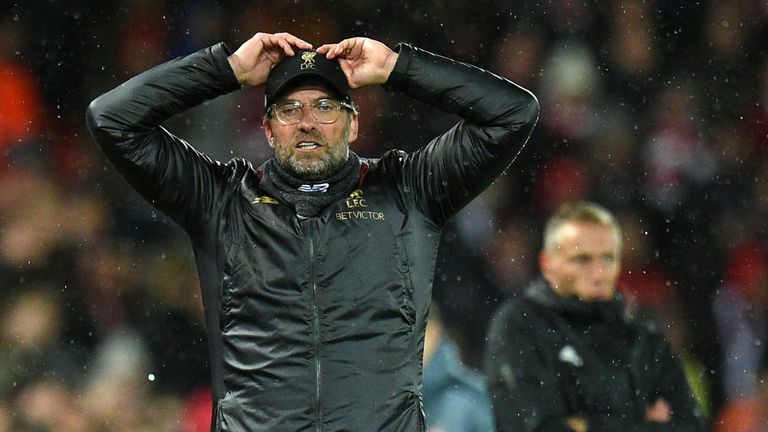 Klopp was asked in his post-match press conference whether they could have been more offensive, perhaps by putting on another attacker, to earn a crucial three points in the Premier League title race against Manchester City. But the German said: "I'm really disappointed about your question. We don't play PlayStation. "Do you think we didn't take enough risks today? It's a really disappointing question because that means it's so easy - I just say 'come on boys, we take more risks, we go for it'. Can you imagine? Is there any draw we didn't try to win? What is that? "An extra attacker just to go wild? You think it's like PlayStation; bring on an extra attacker and football changes? It's not like that. We are offensive enough. Football doesn't work like that. We don't lose our nerve. "City won yesterday in a game that also had 20 chances with one shot in the short corner, which (Artur) Boruc usually picks. But they won it. Liverpool's slip-up: What went wrong? "But sticking on another striker and another striker? Yes sometimes you need them but you need the right things in the right moment. That doesn't always mean a striker. "We have an offensive team and we take the risks, no doubt about that. But it's not the moment we say 'throw everything in that direction'. You cannot play in the Premier League like that. We play Burnley next week; if we only play offensively they will kill us on the counter-attack. "We take risks but you cannot take more than 100 per-cent risks. It's not going nuts - it's not about that." 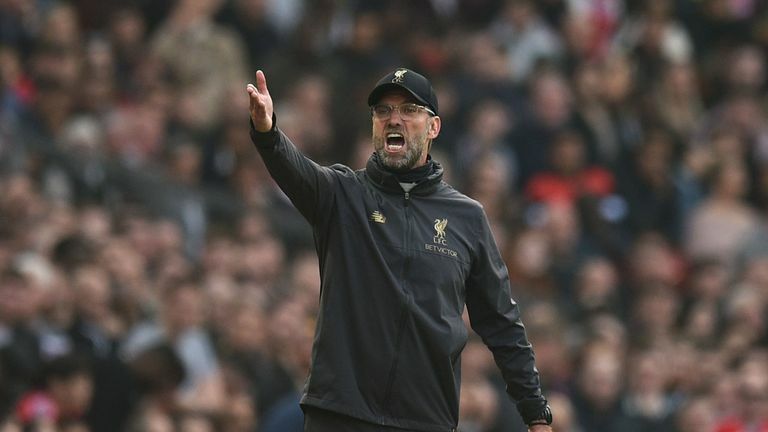 Liverpool have seen the seven-point lead they had in January finally overturned by reigning Champions City, with nine games remaining, but Klopp insists it is "good news" they are still in the fight. "That is really good news," he said. "What's even better is that we are prepared for it. We have to play a lot of games, we are stable, we are there. "The boys always deliver; not always perfectly but they do. We know that we are good, that's how it is. A lot of the other teams in the league are really good too."